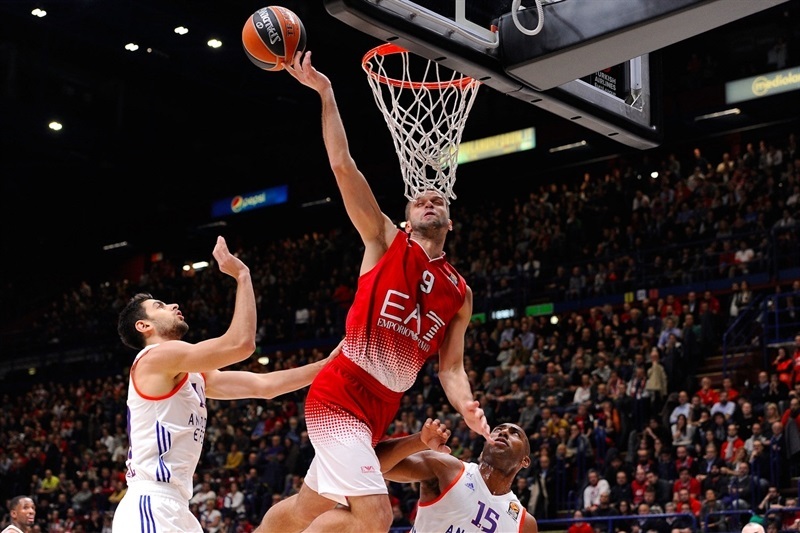 EA7 Emporio Armani Milan dominated for much of the game and hit 13 three-point shots en route to defeating visiting Anadolu Efes Istanbul 105-92 on Thrusday night at Mediolanum Forum. 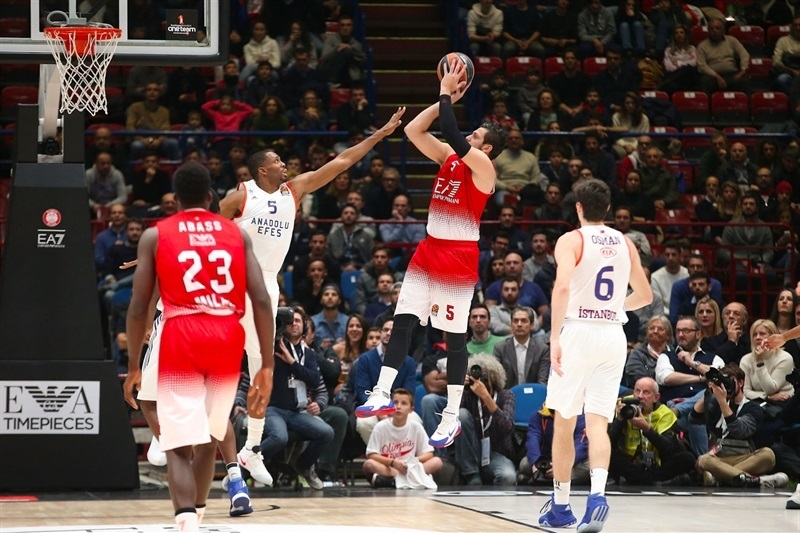 The win snapped Milan’s three-game losing skid and it now stands at 3-3, while Efes fell to 2-4. 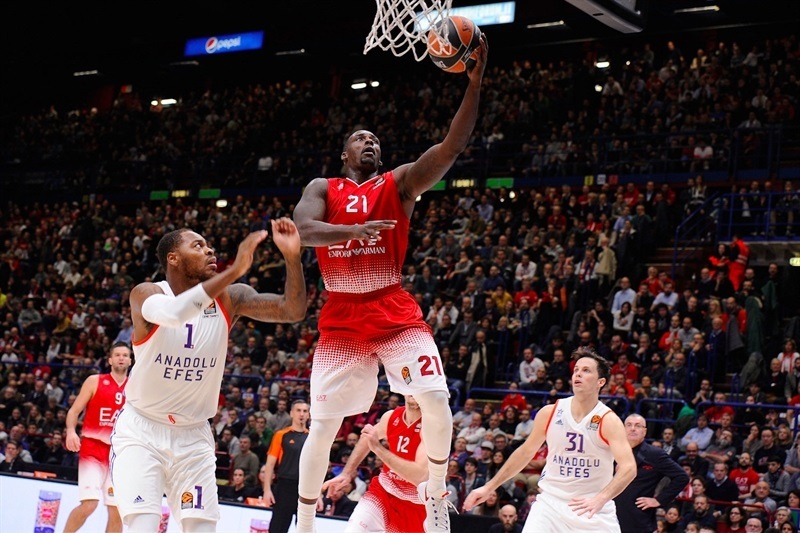 With 105 points, Milan broke its club record for points scored in a EuroLeague game, which it set last week when it put up 102 points in a double-overtime win against Bamberg. This time, Milan needed no overtime as it was on fire from downtown and had seven players score at least 9 points. Rakim Sanders led the way with 22 points and 7 rebounds, while Krunoslav Simon shined with 14 points, 9 rebounds and 8 assists. 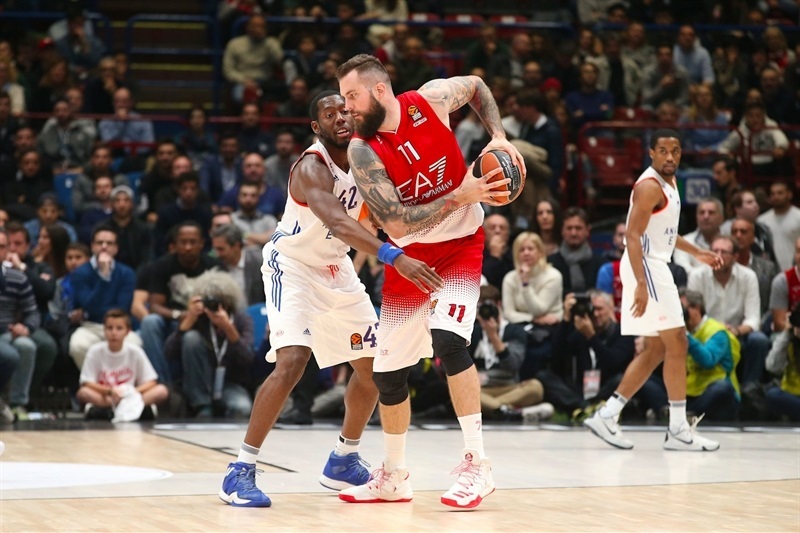 Alessandro Gentile netted 17 and Miroslav Raduljica finished with 13 in victory. 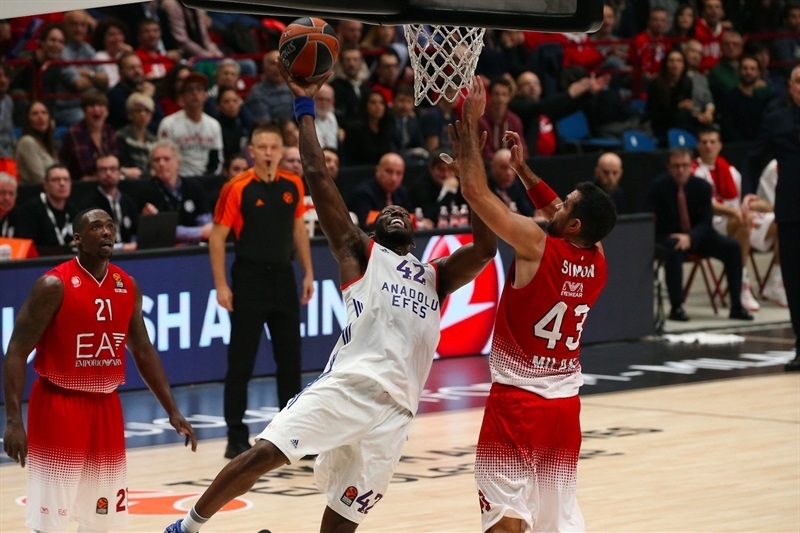 Efes had five double-digit scorers and collected 17 offensive boards, but was not enough. Thomas Heurtel tallied 18 points and 7 assists, Bryant Dunston collected 17 points and 8 rebounds, and Derrick Brown scored 16 points with 7 rebounds. 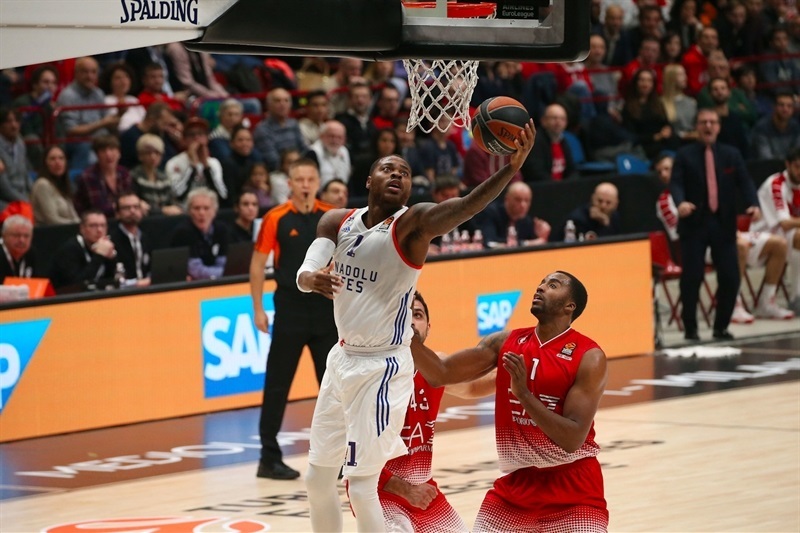 Cedi Osman added 14 points and DeShaun Thomas 10 for Efes. 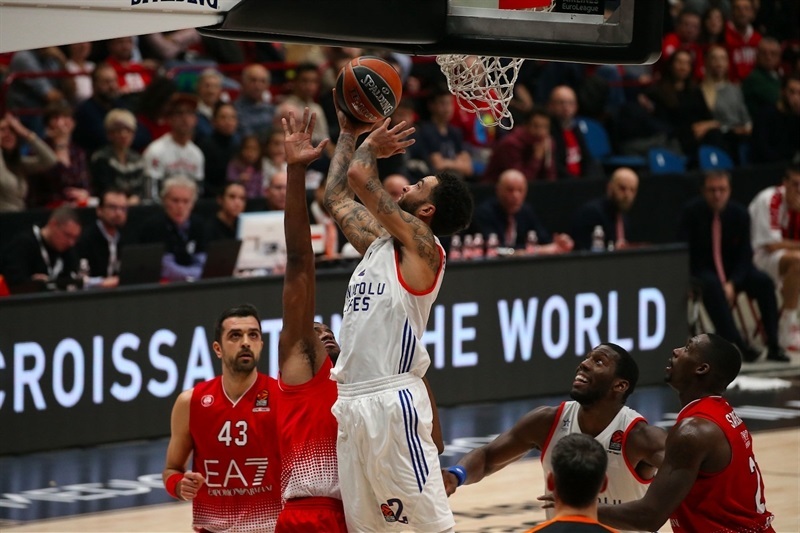 Osman scored the first 8 points for Efes, but Gentile had 6 points early for the hosts and Raduljica a three-point play, before triples from Sanders and Ricky Hickman opened a 23-16 margin. 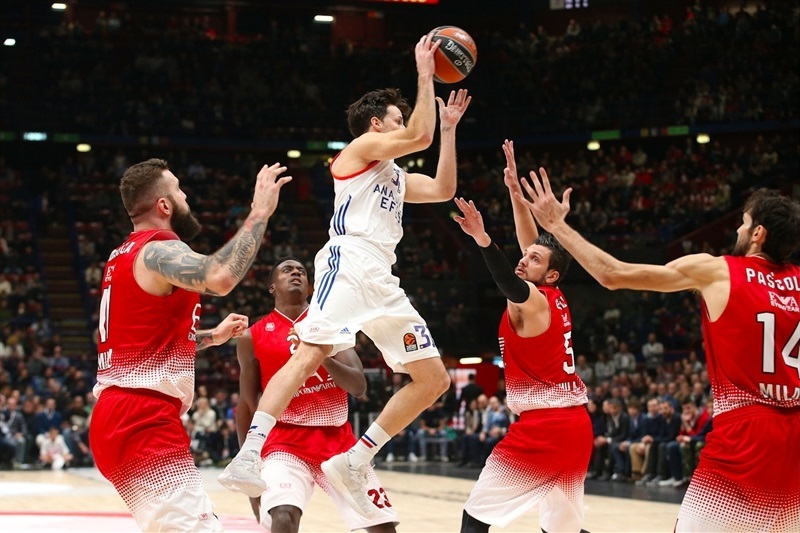 Brown helped Efes close within 25-24 at the end of first, but Milan netted the first 8 points to start the second stanza, with Mantas Kalnietis scoring a three-point play and Simon adding a triple to make it 33-24. More three-pointers from Simon, Kalnietis and eventually Sanders opened a 48-34 lead midway through the second quarter. 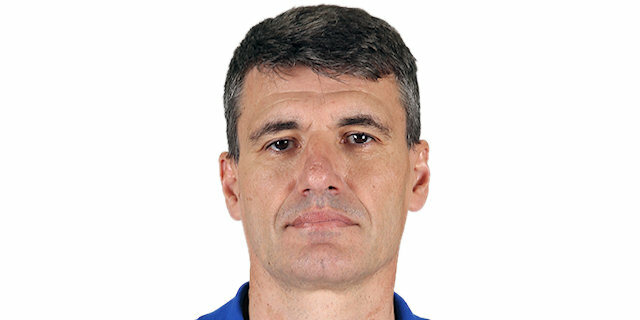 After a Velimir Perasovic timeout, Efes scored 6 straight points, followed with threes from Heurtel and Thomas. The visitors cut the deficit all the way to 3 points. But Gentile hit a half-court buzzer beater to make it 55-49 at halftime, and after the break, Milan quickly restored a double-digit margin on Awudu Abass’s triple. 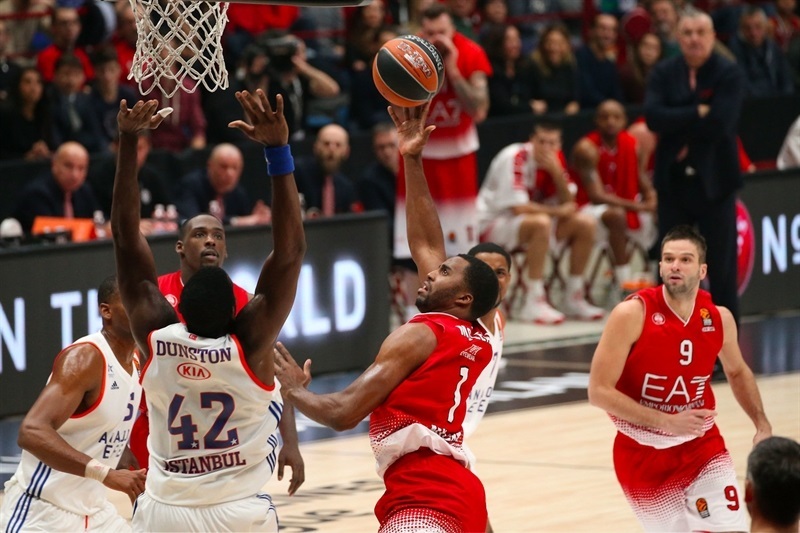 Efes countered with a run that Dunston capped with a dunk to get within 68-62. 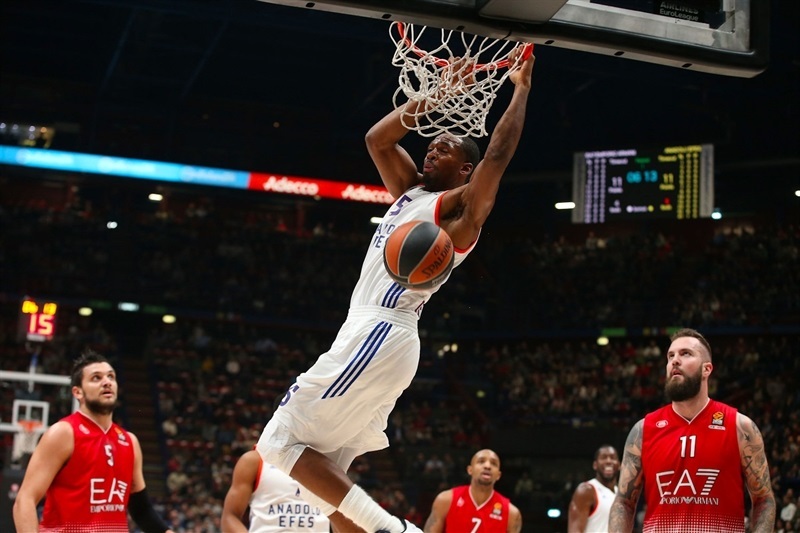 But Milan answered by scoring the next 8 points and a monster Sanders dunk on a fast break restored a 14-point margin. 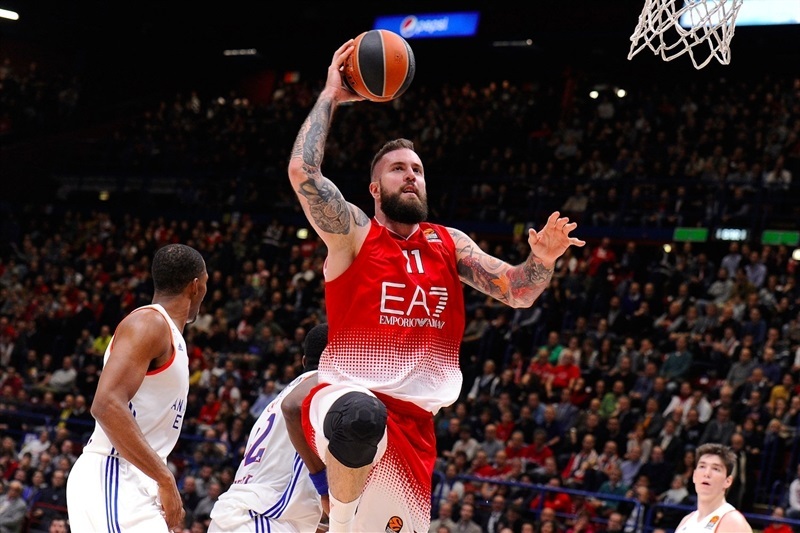 Milan entered the fourth quarter up 79-67 and Efes tried with some 1-3-1 zone defense, which worked in its first-half rally. But Abass hit his third three of the night, which opened an 87-71 lead with seven minutes left and Milan cruised the rest of the way. 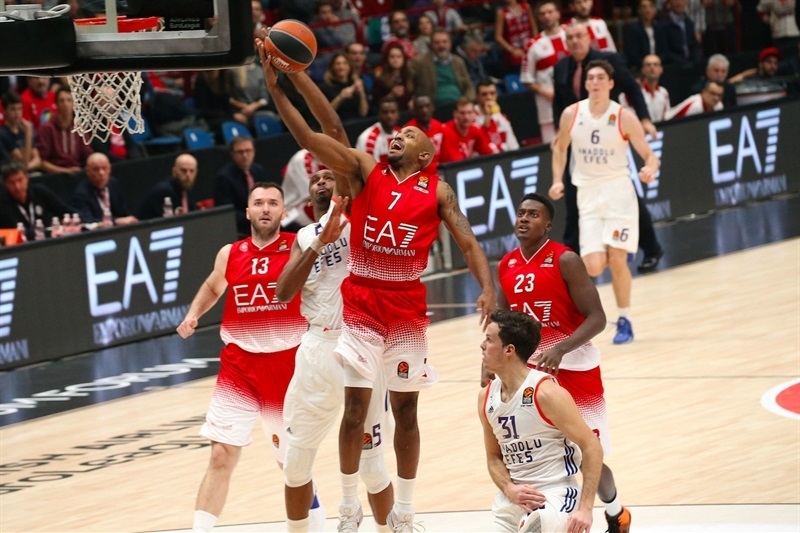 The hosts reached the century mark in the final two minutes, and eventually got to 105 points, a club record in EuroLeague competition. "Congratulations to Milan. They deserved to win. Milan played better from the beginning; they had more energy, confidence, and the final result is correct. I think our defense was terrible today, especially in one-on-one situations. We had problems from the beginning. One-on-one defense led to easy three-point shots they scored with high percentages. 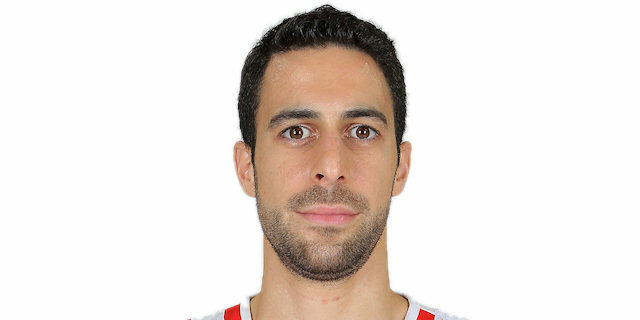 We put our effort in rebounding, we had many steals, but it was not enough against a team like Milan." "Our practices were tough this week, but they were good. We needed that. We just tried to come out for the fans, and put out a good show for them. Our biggest focus was getting stops. 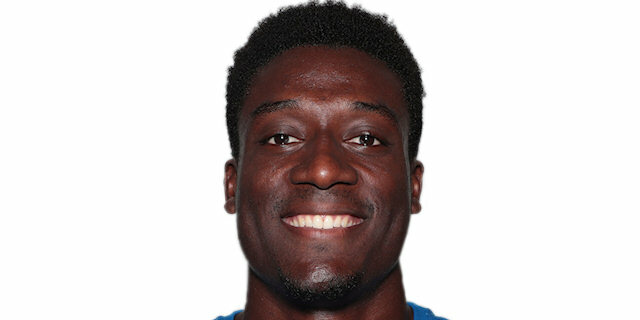 We have a lot of guys who can score, so if we can get stops, we will be alight." 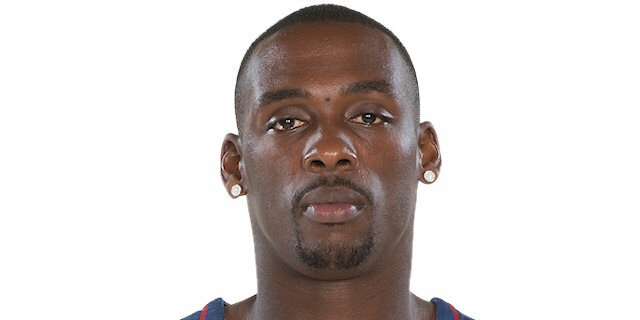 "I played a lot and I didn't expect to play that much. But I was very focused and we showed a lot of heart. I'm just a little bit disappointed for the offensive rebounds we allowed. But we can say we are competing hard." "It was a tough road game. We allowed them to score more than 100 points. This way you cannot win any games, especially on the road. So, we have to go back, watch the game tape and get better on defense, because if you let opponents score more than 100 points, there is no way you can win any Euroleague games."